Many people may believe that the best place to store their original estate planning documents is in their safe deposit box at the local bank. This may make sense if you have given your spouse or a trusted child, other family member, or friend access to your box. However, since a safe deposit box is a rental arrangement (you are leasing the box from the bank), if you are the only one who signed the lease and you become incapacitated or die, no one else will be able to open your box. Usually the only way for someone else to gain access to your box if you become incapacitated or die is to obtain a court order, which wastes time and money. If you are not comfortable giving someone else immediate access to your box, many banks will allow you to add your revocable living trust as an additional lessee, which will give your successor trustee access to your box if for any reason you can no longer serve as trustee of your trust. Should you store your original estate planning documents in your home safe? Home safes are popular these days, but in order for yours to be a good place to store your original estate planning documents, it should be difficult to move (bolted to the floor! ), fire-proof, and water-proof. In addition, make sure someone you trust has the combination to your safe or will easily gain access to the combination if you become incapacitated or die. Should you ask your estate planning attorney to store your original estate planning documents? Traditionally, many estate planning attorneys offered to hold their clients’ original estate planning documents for safekeeping (usually without charging a fee). Today most don’t want to take on the liability. In addition, as the years go by, it may become difficult for family members to track down your attorney, who could change firms, become incapacitated, or die. Should you ask your corporate trustee to store your original estate planning documents? If you have named a bank or trust company as your executor or successor trustee, this may be the best place to store your original estate planning documents. This is because banks and trust companies have specific procedures in place to ensure that your original estate planning documents are stored in a safe and secure area. If you choose this option, make sure one or more of your family members know where your original documents are located. Regardless of where you decide to store your original estate planning documents, make sure your family members, a trusted friend or advisor, or your estate planning attorney know where to find them. Otherwise, if your original documents can’t be easily located, then it may be legally presumed that you no longer liked what they said and purposefully destroyed them. 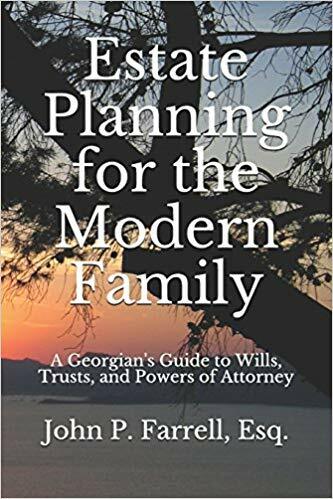 If you have any questions or need assistance with estate planning, contact us at (678) 809-4922 for a free consultation or get our book, Estate Planning for the Modern Family. Previous Previous post: Do I need a Will if I’m a new Mom?